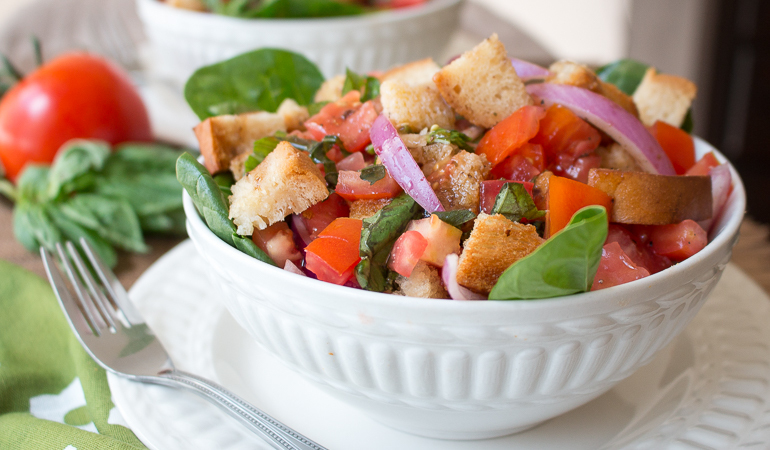 Gluten-free balsamic panzanella salad is bursting with vine-ripened tomatoes, red onions, basil, spinach and grilled GF bread with a balsamic vinaigrette. 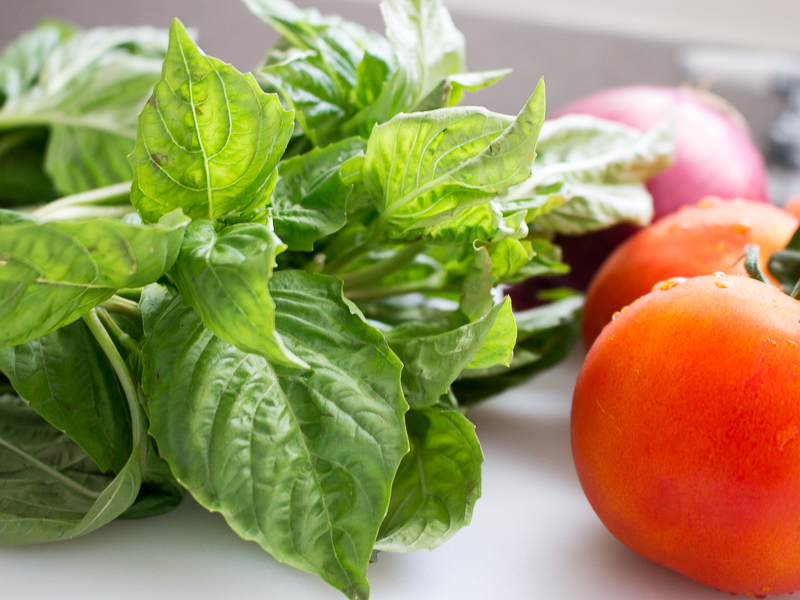 The farmer's markets are now filled with loads with sun kissed vine ripened tomatoes and fragrant basil. Don't miss your opportunity to enjoy the late summer harvest with one of our favorite salads; a gluten-free balsamic panzanella salad. You are just going to love this gluten-free balsamic panzanella salad as it is vegan, budget friendly and cardiac friendly. 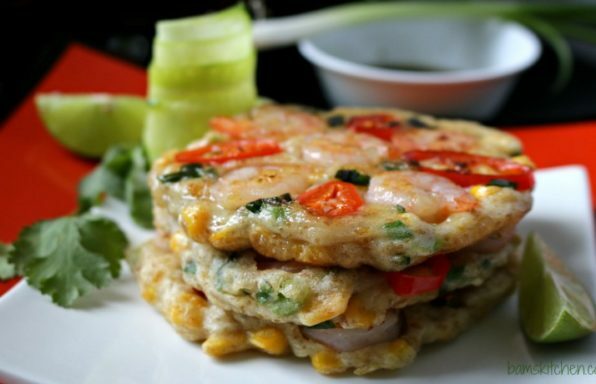 This recipe was originally posted on August 19, 2012 but has updated to make it gluten-free and dairy free. Panzanella is a rustic Tuscan salad. 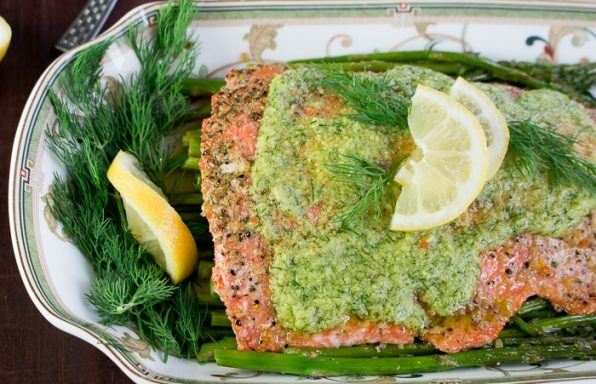 This Italian peasant dish was developed many years ago. 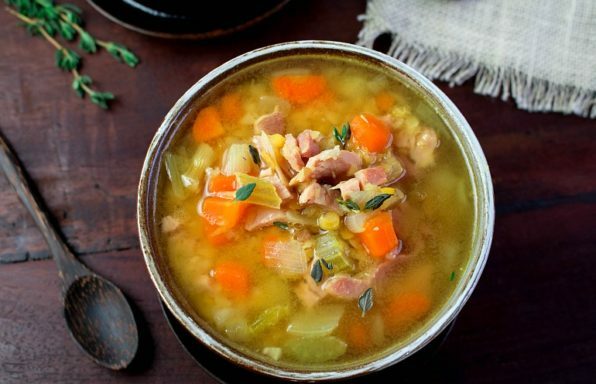 Country folk used to soak their old stale bread in water and mix it with vegetables from the garden to save pennies. Nothing is ever left to waste. If you or your family has wheat sensitivities, you can use gluten-free white bread. Please go ahead and use "real" hearty Tuscan bread with a crusty exterior, if wheat does not bother you. Toasting or grilling the bread and not adding the bread until the very last minute, keeps the bread crunchy. 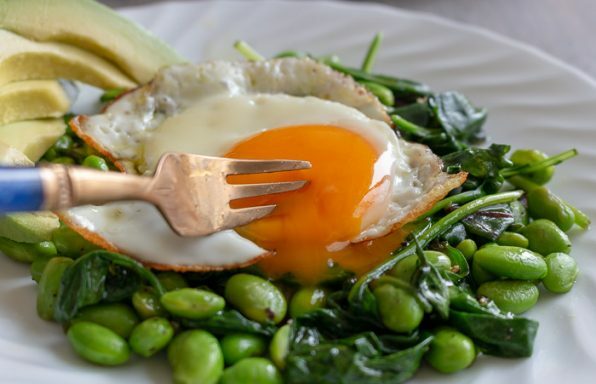 The crunchy bread is a great contrast with the juicy tomatoes, crisp onions and fresh spinach. There are many versions of Panzanella salad. Some people like to add olives, artichokes, cucumbers, beans, cheese or even grilled chicken to their panzanella salad. However, this gluten-free balsamic panzanella salad recipe is a classic version with just a handful of ingredients. The secret to a good gluten free balsamic panzanella salad is allowing the tomatoes and onions time to marinate in the balsamic vinaigrette dressing. The tomatoes create their own delicious sauce and the onions change from pungent to sweet. 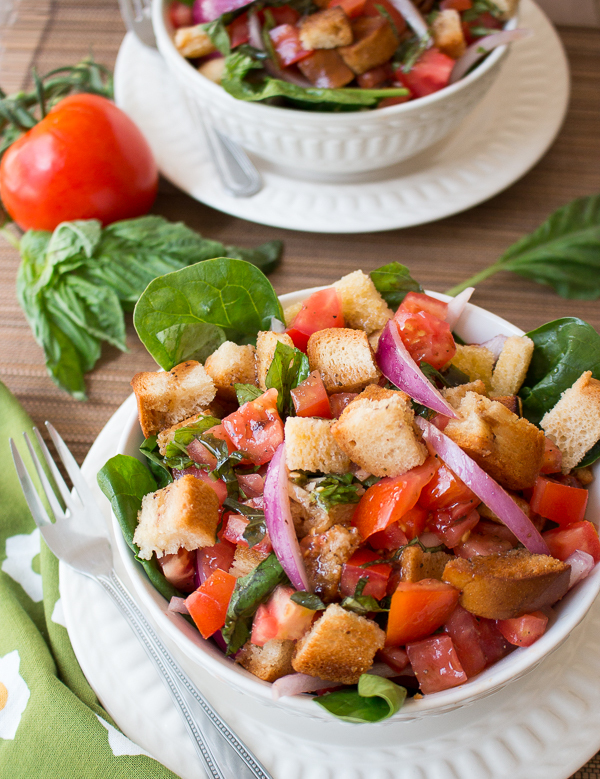 Gluten-free balsamic panzanella salad is bursting with fresh vine ripened tomatoes, basil and onions marinated in classic balsamic vinaigrette tossed with garlicky grilled gluten free bread and a fresh spinach salad. 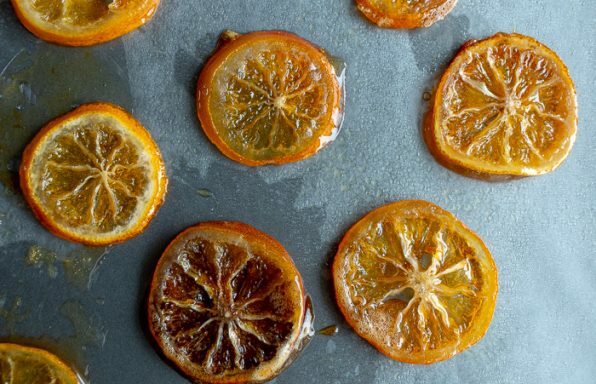 1Step 1:Prepare your simple balsamic vinaigrette. Add balsamic vinegar, olive oil, salt and pepper and Italian seasoning in a jar, cover with lid and shake until well incorporated. 2Place chopped tomatoes, red onion, 2 cloves finely chopped garlic, salt and pepper to taste and 1/2 of the balsamic vinaigrette in a large bowl. Marinate the tomatoes for at least 1 hour at room temperature. 3Brush both sides of the crusty gluten-free bread with olive oil and then brush the garlic over the oil. 5Cut bread into cubes set aside. Add the fresh basil and fresh spinach to the marinated tomatoes, toss to coat well. 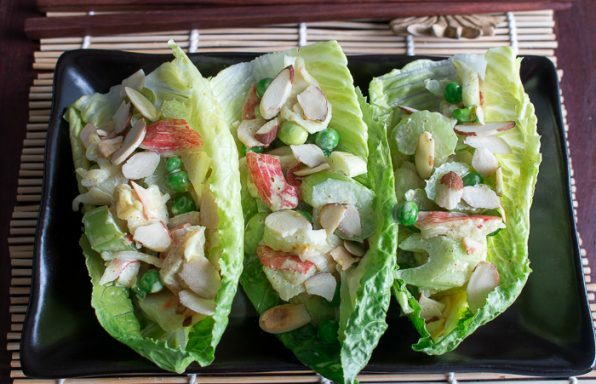 Add the grilled cubed gluten-free bread and toss. Salt and pepper to taste. Add more balsamic vinaigrette dressing as desired or reserve balsamic vinaigrette in refrigerator for your next salad. 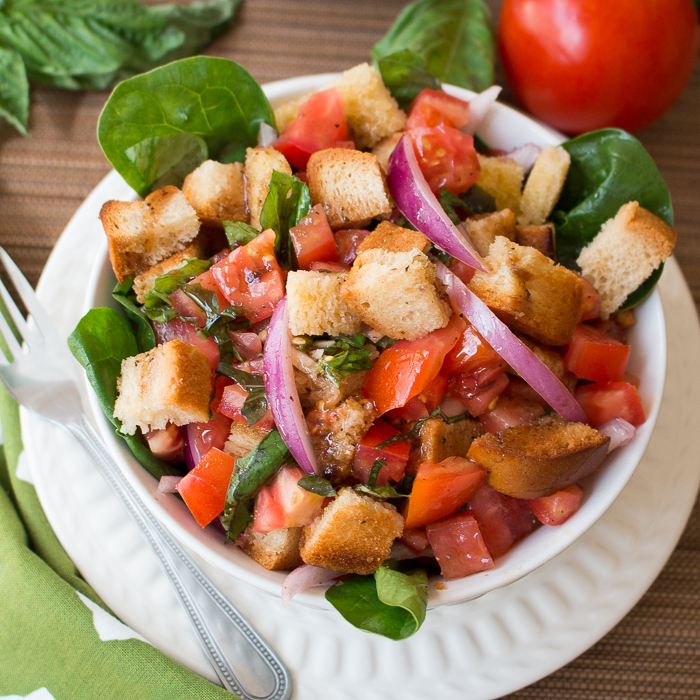 6Enjoy this vegan gluten free balsamic panzanella salad alone or with any grilled meats or fish.